Jason logs into Awaken Online fed-up with reality. He's in desperate need of an escape, and this game is his ticket to finally feeling the type of power and freedom that are so sorely lacking in his real life. Awaken Online is a brand new virtual reality game that just hit the market, promising an unprecedented level of immersion. Yet Jason quickly finds himself pushed down a path he didn't expect. In this game, he isn't the hero. There are no damsels to save. There are no bad guys to vanquish. All Hail Our Tiny Green Overlord! 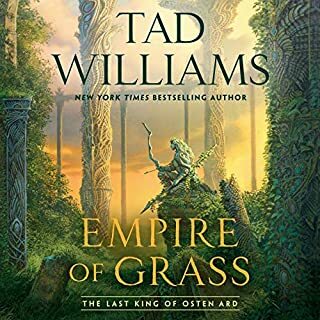 The kingdoms of Osten Ard have been at peace for decades, but now, the threat of a new war grows to nightmarish proportions. Simon and Miriamele, royal husband and wife, face danger from every side. Their allies in Hernystir have made a pact with the dreadful queen of the Norns to allow her armies to cross into mortal lands. The ancient, powerful nation of Nabban is on the verge of bloody civil war, and the fierce nomads of the Thrithings grasslands have begun to mobilize, united by superstitious fervor and their age-old hatred of the city-dwellers. Surrounded by secrecy, it is home to the wildest dreams and darkest nightmares. Incredible amounts of money have been lavished on it. The best minds of two generations have labored to build it. And somehow, bit by bit, it is claiming the Earth's most valuable resource - its children. WAIT! Don't give up too soon! The City of Golden Shadow opens with trench warfare. Oh no, says I, no way I'm listening to another WWI trench warfare book. I almost quit right there, but fortunately I hung in for a few more minutes and the narrative took a turn for the truly bizarre. This has to be one of the oddest opening sequences ever written. I knew right then that I was probably going to give it a pretty high rating. I like the book. Really. Still, I have to say it's awfully long.... And then there are the three remaining volumes staring me in the face. And be warned, if you make to the end of this one, you'll pretty much have to read the rest. Combined, the series adds up to Nearly 120 hours, so you won't like this book unless you REALLY like this kind of book. This book gets an extra star just for the sheer magnitude of intriguing strangeness. I was going to give it three because there were times when I felt like I was slogging through molasses and I wanted it to start clearing up some of the mysteries, but I kept going back to the delightful weirdness. I confess that I plan to take quite a long break before I start the next book in the series. You are probably reading this review wondering if this book or series is worth your time and money. YES! The Otherland books is one of my all time favorites and I am not easy to please. Have patience this book takes a little time to get into and is confusing at first with it's many story lines but by the time you get to the end of Sea of Silver Light the 4 the book in the series you will sit back and go WOW! I never wanted the story to end it was so much fun. I felt like I was saying goodby to close friends. This is worth your money and time and will be a story you can return to time and time again with great enjoyment. A true classic. I won't write a long review of this wonderful tale, a reader's dream of virtual lands made up of book worlds: Alice Through the Looking Glass, Gormenghast,, Borroughs' Mars books, etc. I've read it four times through in book form; I find George Newbern's reading wonderful. He handles the many foreign accents perfectly, even the African ones, and brings all the characters to life with their distinctive voices. 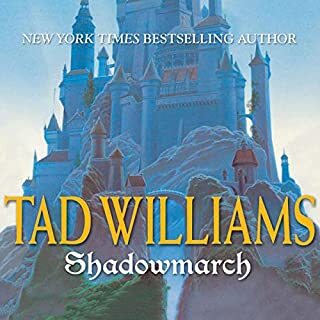 This is the best work Tad Williams has ever done, a cyberspace classic still as current as when it was written. It will be a classic, I predict, because of the strong and heart-warming characters. I've been waiting for this book to come out on audio for a long time. 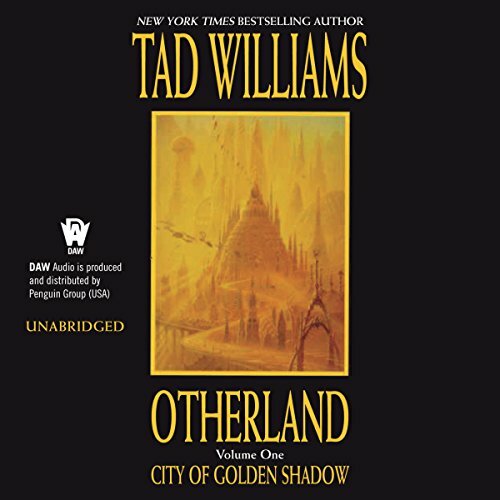 I kept searching "Tad Williams" to see if it was published yet. I was not disappointed. The narrator does an excellent job of bringing this captivating story to life. This was one of my favorite series, and I'm happy to be reliving it in audio format. When I first read this years ago, I had to read about 1/2 of the book to get into it, but then I couldn't put it down. 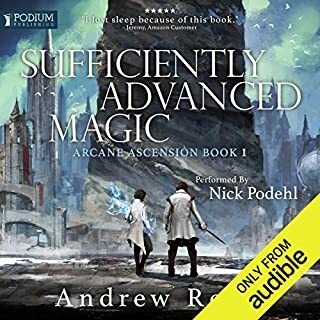 I devoured the rest of the series like I am now doing on audio. Once I was familiar with them, I realized that the characters and story-lines are skillfully intertwined. I also love how the author is cleverly descriptive. I had many tangible moments of awe, curiosity, warmth, and suspense. 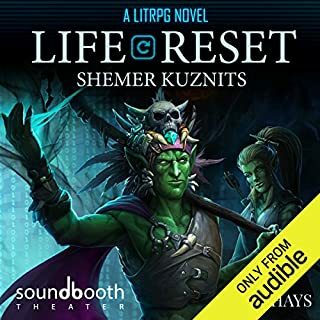 Really enjoyed this audible book. The narration was spellbinding and the characters really came to life. My daughter recommended this series several years ago and now I understand why. 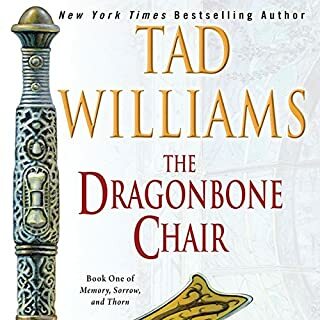 Tad Williams takes on many threads and characters but manages to make them all work. His exploration of virtual worlds is not altogether original, but nevertheless well handled. Takes forever to get going, but is definitely worth it once the stories start to connect. Stephen is a South African kid of doing what twelve year olds through thirty year olds do now in their recreational time. He plays MMO games only the rigs are more VR and neural connecting than anything common right now. His sister Irene or Reny tries to get him to cut back on his usage even though she makes her living teach Virtual programming at the Durbin Polytechnic. On the other side of the planet in an enclave in California, a fourteen year old is trapped in a body that is aging at an accelerated rate. His only road of escape is to live in a virtual world only now he and his friend are trapped in that virtual world. Beings envisioning themselves as reincarnations of the gods of old are crossing from the Virtual World into the Real World. They're doing real damage. A handicapped old Air Force guy is waging a war to try and free up the net; and stave off the mental damage a group called the Grail Brotherhood seems to be doing to ten thousand or more teenagers in vegetative state. Maybe the more gripping thread in this is the story of Paul Jonahs, seemingly killed in the trenches of WW I then swallowed by a steam-punk Giant. Paul is enchanted by a woman who is in a gilded cage with wings, then he meets her again in what appears to be an Edgar Rice Burroughs vision of Mars. All the time he finds himself pursued by nasties including apes with snake heads...yuck. If I've spoiled this for you then you would not have had the patience to enjoy this work of art. This is cyberpunk and it even has its own jargon like the works of William Gibson. 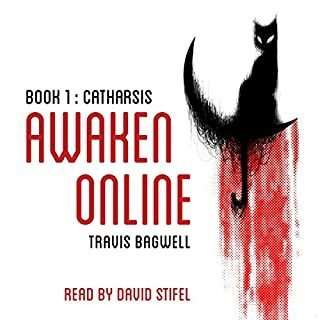 The insight into a possible future where our actions and fortunes are controlled because some powerful group of beings can trap our minds on the net is frightening yet well told. World picture here is bleak but there are heroes and the struggle comes across as real. Four out of five Entertainment Units are thus awarded. I would say 3.5 if possible. For the most part I enjoyed this book. It could be better with less drift and repetition. I will probably listen to the sequel since I appreciate the inventive parts. Narrator is decent with voices but sometimes inconsistent with narrative. He mispronounces Shiva, which I found distracting. There are strong and interesting characters here, and clear, well written prose, but the story is too disjointed and weakly tied together to truly engage. I kept waiting for the plot to get in gear, but you are nearly at the end when most of the plot lines converge, unconvincingly, and the the book's ending is equally vaporous. I will definitely not be reading the sequels.